Between August 21 and September 6, 2014, I completed a traverse of Peru’s Cordillera Blanca, one of the world’s highest and most beautiful mountain ranges. 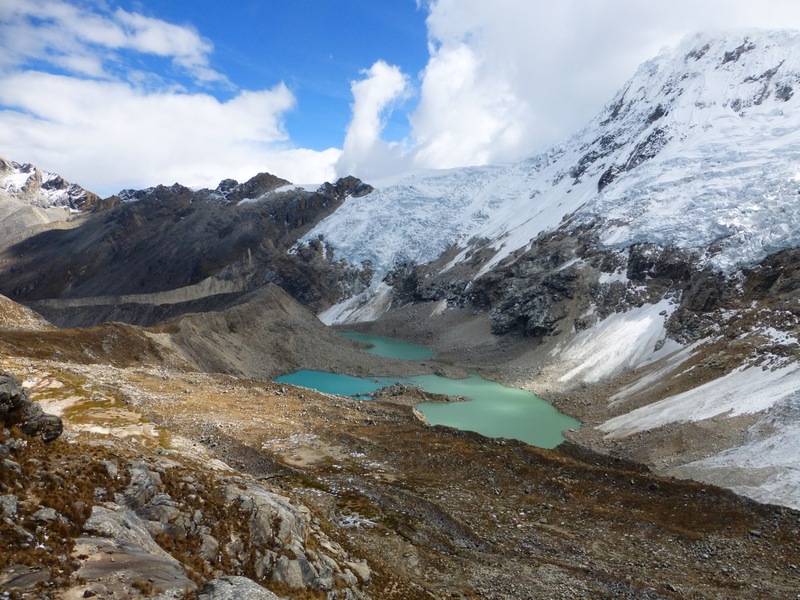 Beginning north of Nevado Alpamayo and finishing at Pastoruri Glacier, to the best of my knowledge it was the first time that such a route had been undertaken. The Cordillera Blanca Traverse consisted of a combination of trails, cross country scrambles and the occasional stretch along backcountry dirt roads. Coming in at approximately 240 miles in length, it took in a multitude of turquoise lakes and went up and over 23 mountain passes ranging between 14 and 17,500 ft. A veritable alpine wonderland…………..that happens to be situated in the tropics. See below for stats, logistics and links to journal entries from the trip. Distance: Approximately 252 miles (406 km). As with most of my routes over the years, the CBT was not a “shortest distance from A to B / constant forward progress” type affair. I took a handful of side trips to hot springs, archeological sites and other points of interest along the way. Whenever possible, I chose the most scenic alternative available, regardless of whether or not it was shorter or longer than other options. For route details, see the above referenced journal entries. I hiked the CBT in August/September, which is dry season in the Central Andes. Technically speaking it is also winter, however, the fact that the Cordillera Blanca is situated so close to the equator means that temperature fluctuations are relatively minor throughout the year. Elevation for the CBT ranged between a low of 10,300 (village of Hualcallan; starting point) and a high of 17, 500 ft. Aside from the initial climb out of Hualcallan, the entire route pretty much stays above 12,000 ft. The relative narrowness of the Cordillera Blanca range (see below) means that it is relatively easy to access. Villages and towns dot both the eastern and western sides of the mountains. A boon for solo long distance trekkers in regards to resupply options. The first 40% of the hike from Hualcallan to Quebrada Honda took six days to complete. It was mostly on established trails. The last 60% of the trek, from Quebrada Honda to Pastoruri Glacier, was much slower going due to the large percentage of the route being cross country. Bushwhacking up and over 16,000 ft passes ain’t easy! Twenty-three in total, ranging from 14 to 17,500 ft. Situated in the Ancash region of Peru, the Cordillera Blanca is a sub-range of the Andes mountains. It is approximately 13 miles wide (21 km) and 124 miles (200 km) long as the crow flies. It’s like the “Chile” of mountain ranges; long and very narrow. 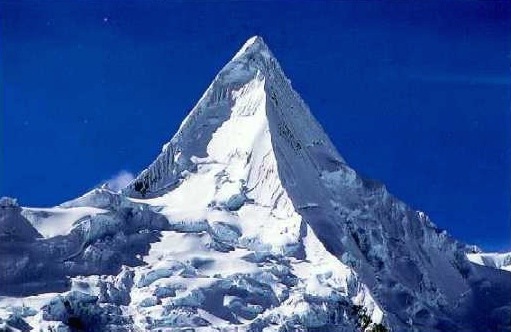 It sports a dozen peaks that are higher than 20,000 ft (6096 m), with a further twenty-four topping 18,000 ft (5486 m). 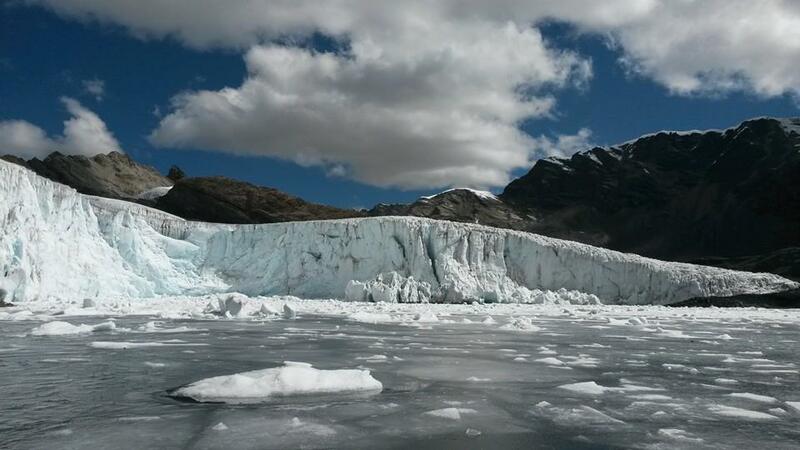 It is estimated that there are 260 glaciers within the Cordillera Blanca range. The largest concentration of tropical-zone glaciers on the planet. Since the 1970’s they have retreated more than 15%. A staggering reduction; especially considering their hydrological importance to a growing Peruvian population. In 1970, the Cordillera Blanca was rocked by an earthquake (7.9 on the Richter scale) that wiped out 95% of Huaraz (the regional capital), completely destroyed the town of Yungay and was responsible for the deaths of up to 70,000 people. It was the worst natural disaster that Peru has ever had, and the resulting avalanche that caused much of the destruction is thought to have been the deadliest in world history. Famous Peaks: Legend has it that Artesonraju (6025 m/19,767 ft), is the inspiration behind the famous Paramount Pictures icon. A few miles north of there lies Nevado Alpamayo, a stunning pyramid-shaped peak (see photo above) that was voted the world’s most beautiful mountain by an international survey commissioned by the German Alpine Club back in the 1960’s. 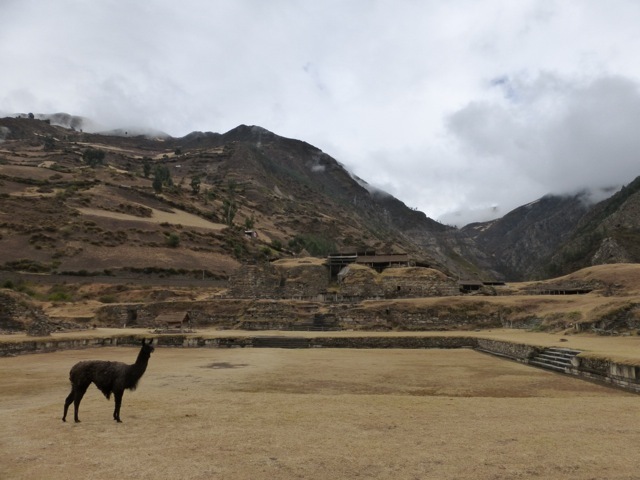 Chavin de Huantar: World Heritage listed archeological site situated on the eastern flanks of the range. Dating back more than 3000 years, Chavin de Huantar was the religious centre of the Chavin people, one of the major pre-Inca cultures of Peru. Very cool place. I visited there in 1996 and again in 2014 (see photo below). Wow!!! Cam…spectacular…cant wait to hear more….such magnificent country!!! Thanks, Laura. Hope all is well in CA!